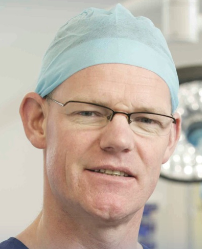 Simon Carney is Professor of Otolaryngology - Head and Neck Surgery at Finders University and Director of The Adelaide Sinus Centre. He has extensive clinical and research experience in both Rhinology and Sleep Surgery. He is the lead ENT investigator in the NHMRC-funded multi-centre RCT on multi-level sleep surgery. He is Associate Editor of The American Journal of Rhinology and Allergy, is on the Editorial Boards of Rhinology and Clinical Otolaryngology and is the immediate Past-President of the ANZ Rhinologic Society,. He has authored over 100 full publications, 11 book chapters and 2 FESS dissection guides.